Organizers including Bangkok Airways, CAMT, Chiang Mai Province, Rightman Co. Ltd and Cycling Plus joined Deputy Governor Navin Sintusa-ard and TAT Director Wisut Buachoom on stage for the press conference at Central Festival Chiang Mai. The latest event to hit the Chiang Mai sports scene was announced at a press conference held at Central Festival Chiang Mai on Thursday, September 25. 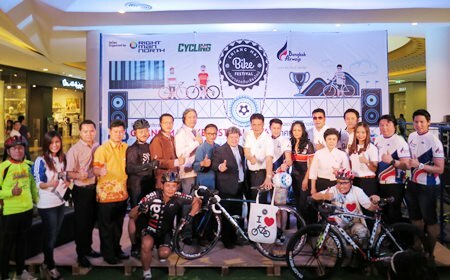 The Chiang Mai Bike Festival will feature road cycling and mountain biking in honor of HM the King’s birthday from December 5 – 7, 2014 at the Chiang Mai University Art Center on Nimmanhaemin Road. The event, held in cooperation with Chiang Mai Province, Rightman Co. Ltd and Cycling Plus Magazine, will feature the 1st Chiang Mai Classic Race, and “Ride For Our King” which will see the winner take the HRH Crown Prince Maha Vajiralongkorn Trophy on December 7, 2014. Chiang Mai Deputy Governor Navin Sintusa-ard welcomed the event to Chiang Mai noting that it was key to the outdoor image and green tourism effort that the province encouraged. Bangkok Airways, a major sponsor of the event and a hotbed of keen cyclists themselves, saw Director of Sales Varong Israsena na Ayudhya not only give a demonstration on how to pack a bicycle for the flight but also announce that for the event Bangkok Airways would be flying all bicycles for free to Chiang Mai. The festival will include workshops, seminars, an exhibition on bicycle history, vintage bikes, 80 bicycle and accessory sales booths and 50 food and beverage booths. Chiang Mai University will hold cycling activities in honor of their 50th anniversary this year including a 23 km ride from Salatham to Royal Park Rajapruek and finishing up at CMU Arts Center on December 6. Other events include a long distance ride of 700km to Lampang, Uttaradit, Sukhothai, Phitsanulok, Phichit, and Nakhon Sawan. 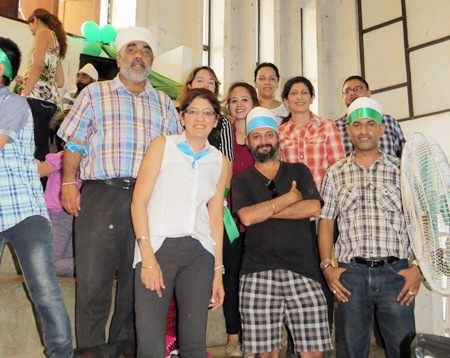 The Indian Community of Chiang Mai held a Family Fun Day on Sunday, September 28, 2014 at the Chiang Mai Municipal Stadium where families took part in various sporting activities including football and a tug of war won by the Green Team pictured here. 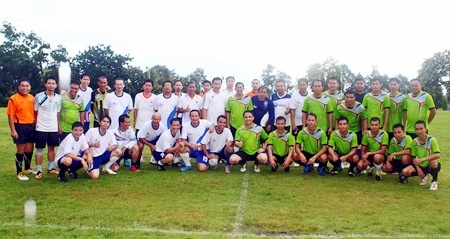 Chiang Mai media played a friendly football match against the Pha Muang Task Force officers led by Maj. Gen. Bancherd Changpoonthong on September 26, 2014. The annual match is held at the Pack Squadron in Mae Rim District and saw the Pha Muang Task Force win 5 – 4 against the media. 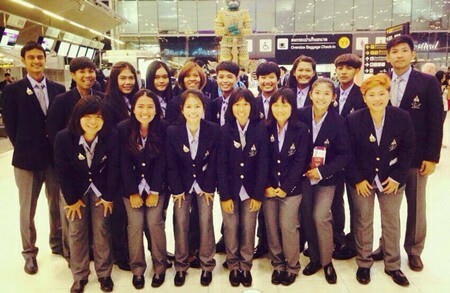 Thailand’s women cricketers impressed in the 17th Asian Games. Thailand’s women cricket team, winners of two cricket tournaments in Chiang Mai over the last two years, took to the world stage again as they took part in the women’s 20-over cricket competition in the Asian Games. The girls have become firm favourites in Chiang Mai where they won competitions at 25 and 40 overs and were hoping to win a medal in Incheon, South Korea, which would have been another real breakthrough for cricket in Thailand. Nattaya Boochatham has taken over as Captain of the Women’s National Cricket Team and will work hard to bring her side up to the international level. Thailand made an impressive start to the competition by defeating Malaysia by nine wickets in their opening match. The Thai girls bowled well and fielded magnificently to restrict Malaysia to a total of just 49 for 8 in 20 overs and the top three in the batting order saw their side home with only one wicket down. 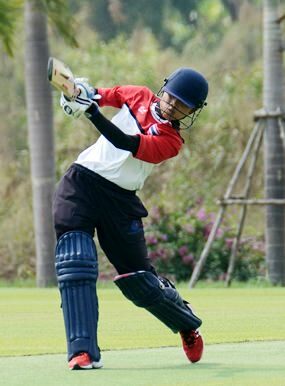 Chiang Mai’s star player Nattakan Chantam, still only 18 years old, is making quite a name for herself in international cricket with a string of match-winning performances and finished with the outstanding figures of 4-0-6-4 with no fewer than 20 dot balls. Nattaya Boochatham captained the side against Malaysia in the absence of Sornnarin Tippoch and also took the responsibility of opening the batting and was there to score the winning runs. Now against a stronger Nepal side in the second round she did it again, captaining the side to see Thailand home by six wickets and a place in the quarter-finals. Nattaya has developed into a left-hander with an impeccable technique and enormous powers of concentration and she has shown that these are still important attributes even in 20-over cricket, particularly in low-scoring encounters. She has done the almost impossible in taking the place of Sornnarin Tippoch as the rock on which Thailand women’s cricket is being built. The girls could take pride at their ninth consecutive victory at this level as they have confirmed their reputation as the best side in ACC women’s cricket. With China and Sri Lanka already through to the semi-finals, Thailand faced Pakistan in the third quarter-final of the women’s cricket competition. A late change in the schedule mean that the Thai girls faced defending champions Pakistan rather than Japan, which was scant reward for winning their group so impressively. The start of the match was delayed by overnight rain and the contest was reduced to 14 overs aside. When play finally got underway Thailand began with an all seam attack and restricted the opposition to 37 for 2 after 7 overs. Pakistan lost their third wicket in the eighth over as Bismah Maroof was run out for 16 as the Thai fielding continued to shine. Thailand had acquitted themselves well in the field and had competed on even terms with Pakistan for the first 10 overs of the match. The difference in quality began to tell however as runs flowed at the end of the innings and Pakistan finished on a strong 97 for 5 in their 14 overs, with 42 runs coming in the last four overs. Chasing 98 to earn a place in the semi-finals Thailand struggled throughout with the bat, the exception again being Nattaya Boochatham who reached 17 as she took her tournament average above 50. The Thai team could only reach 46 for 7 in their 14 overs and Pakistan had won by 51 runs and would face China in the semi-finals. Thailand’s women cricketers had looked the part in their opening two matches in the Asian Games but once again found the step up in class too much. It was their fourth defeat in as many matches against the same opposition and once again showed the difference in quality between playing in ACC competitions, where Thailand have ruled supreme, and then facing a full member country which has been playing regularly in ICC competitions. Thailand’s women’s team are an improving side but so are Pakistan and the gulf in class remains significant. The Pakistan team went on to retain their Asian Games women’s cricket title as they bowled out China for just 37 in the semi-finals and won by nine wickets, then they overcame Bangladesh in the final in a match decided by the Duckworth Lewis method. Pakistan took the gold medal, Bangladesh the silver and Sri Lanka the bronze. Thailand need to play more matches against this standard of opposition if they are to progress further in the future but the girls can again be proud of their efforts here in South Korea.